The crown jewel of the Himalayas, Ladakh is the largest and least populated area in Jammu and Kashmir. 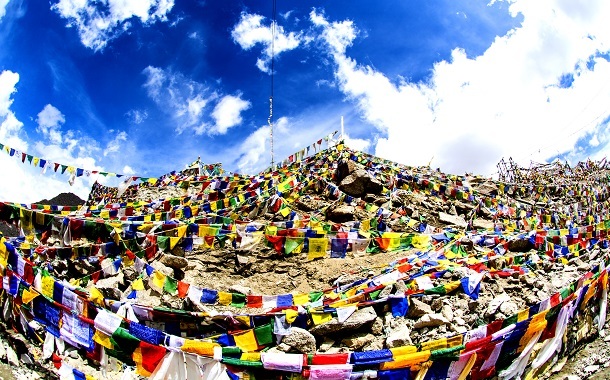 With strong Tibetan and Buddhist influences that are reflected in the monasteries, language and overall way of life, Ladakh is a vivid canvas of prayer flags, gompas or monasteries and spinning prayer wheels. 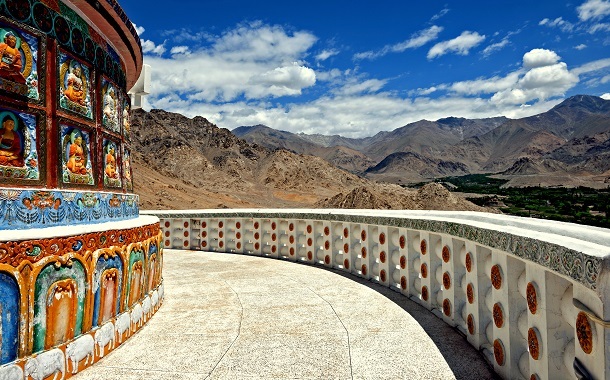 The gompas are adorned with murals depicting various bodhisattvas, while the stunning backdrop of rugged mountain peaks is sure to take your breath away. We've designed several Ladakh tour packages to give you a true understanding of this paradise. A trip to Ladakh is quite literally the quickest way to escape Earth’s confines – Moon land in Lamayuru comprises vast expanses of moon-like terrain and makes for excellent photo opportunities. Climb up the Meditation Hill to arrive at Lamayaru gompa, where monks grind up local herbs to make medicines. 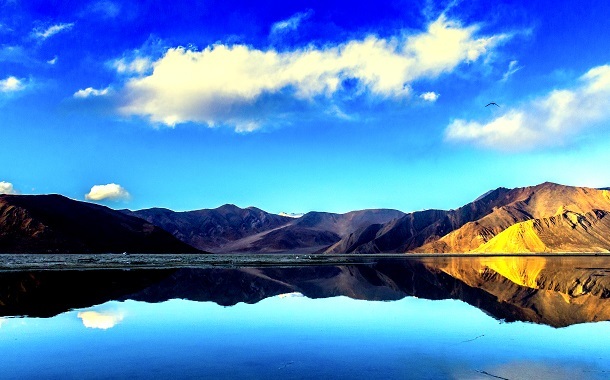 Pangong and Tso-Moriri lakes are popular tourist draws and feature comfortable, but basic lodges where you can stay overnight to savour the views. Try living with the monks to understand their lifestyle and practices. Visit Sham Valley, the route to which is scattered with unique attractions – the Hall of Fame war museum, the magnetic hill that gives travellers the impression of rolling uphill while they are actually going downhill, the historic Basgo ruins and the Aichi Monastery that is oldest monastery in the region and famed for its architecture and collection of thangkas. History buffs will appreciate a visit to the Stok Palace and Museum that is the current residence of the deposed King of Ladakh. 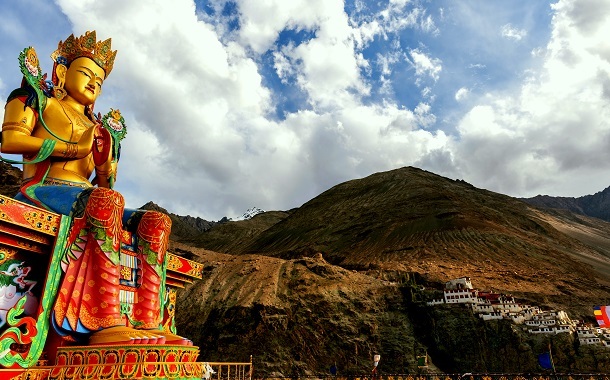 Another popular destination is the Hemis Monastery, which houses at least 150 lamas at any point in time and is home to a large painting of the Buddha, which is on display once in eleven years. July is a great time to be in Ladakh – the region comes alive with a variety of festivals that attract huge crowds to the monasteries and the cricket and polo clubs. Adventure buffs will delight in the several scenic trails that Ladakh offers. However, since the infrastructure is still quite basic, trekkers usually travel with a guide and a few pack horses. White water rafting in the Indus is another draw, and can be quite easy or challenging depending on the section of the river and your own expertise. Birding is another common pastime for travellers, who enjoy the vivid diversity – as many as 225 specieis – of birds that call Ladakh home. Expect to cross paths with the rare Black Necked crane, the Brahminy duck and the Golden eagle. Ladakh’s four-legged inhabitants include the rare Bharal, which is neither a sheep nor a goat, but has characteristics of both, the Chiru or Tibetan antelope, and the famous snow leopard. The cuisine is Tibetan-inspired and local favourites include thukpa, noodle soup and tsampa (roasted barley flour that is handy to carry along on treks). Tea in Ladakh is another specialty and is made of a strong black brew combined with butter and salt. 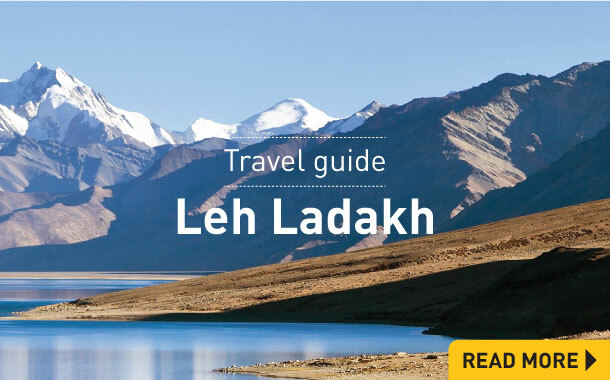 Ready to take off for Ladakh but don’t know where to begin? Browse through our Ladakh tour packages to find an option that works the best with your budget and requirements. From economically-priced tours to more luxuriant stays, our holiday packages ensure that you get the best value for your money. 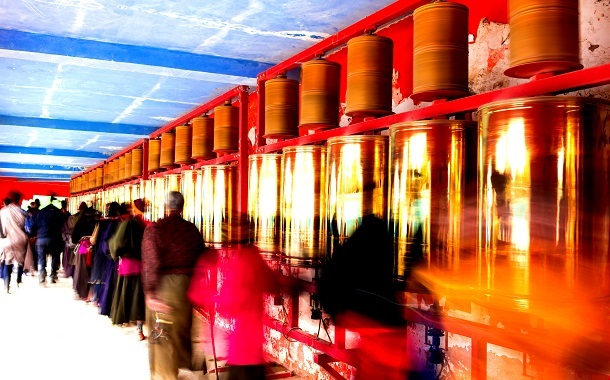 Eager to learn more about Ladakh before you begin planning your next getaway? Browse through Musafir.com’s extensive Ladakh travel guide to know all about the hottest destinations, best places to stay and activities you can participate in. The best time to visit Ladakh is during its summer seasons between the months of June and September, when the temperature is between 20-30°C. During these months, Ladakh is an unparalleled universe with just the right amount of snow crowing the mighty Himalayas. The sun scores through the cold mist floating along its rugged edges giving it a brilliant golden complexion. The Leh-Manali and Leh-Srinagar highways that get submerged under a sheath of heavy snow, get cleared during these months opening up their arms to travellers across the globe. The temperatures drop sharply at night and it is recommended that you keep warm clothes to comfort you. Ladakh is an all year round destination for trekkers. 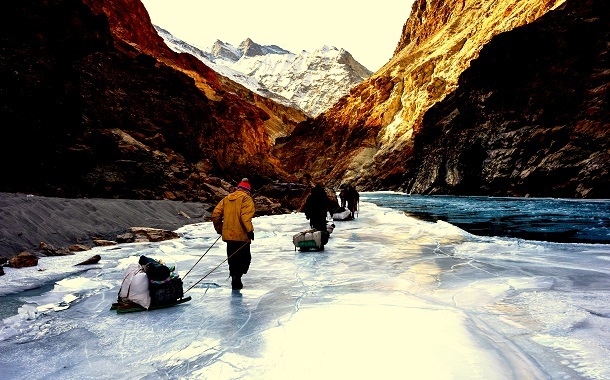 During the cold months, the gushing water of Zanskar river is frozen to form a long formidable aisle of ice akin to a thick blanket. Adventure-parasites take up the daring challenge to hike this onerous trial - the Chaadar Trek. 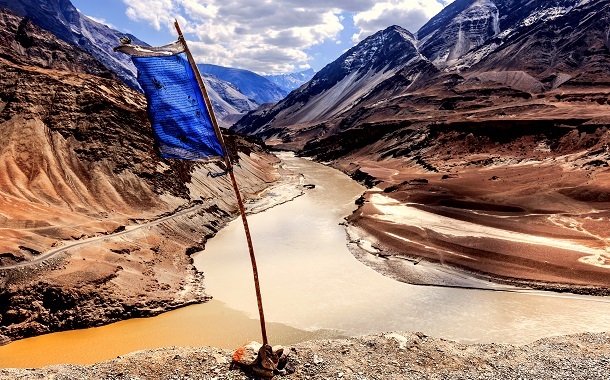 So depending on what your bucket-list comprises of, you can choose to travel to Ladakh. Air: Air India and Jet Airways operate daily flights from Delhi, Srinagar and Jammu. However, be warned that the availability of your flight may vary according to the local weather conditions. Road: Ladakh is accessible by bus from Manali and Srinagar. You can also opt for a shared taxi that depart early in the morning and reach Ladakh the next morning. You can also rent a cheap motorcycle once you get there, to travel freely within Ladakh. Rail: Jammu Tawi railway station is about 700 kms from Ladakh. That is the only viable option if you plan to travel by train. From there, you can board a local JKSRTC bus or hire a cab. 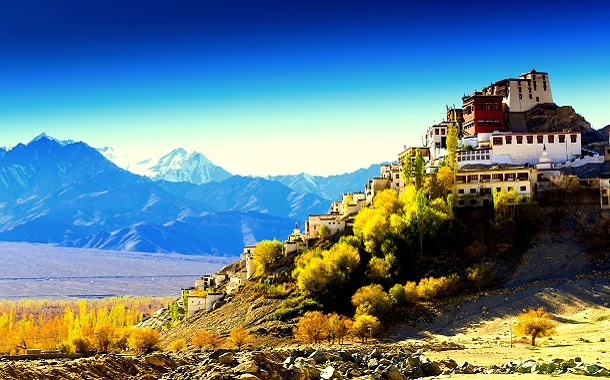 Book your Ladakh tour packages now!